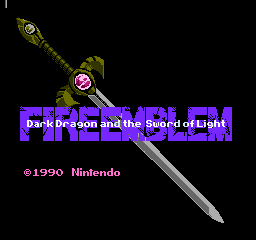 This is a full translation of Fire Emblem: Ankoku Ryu to Hikari no Tsurugi for the NES. 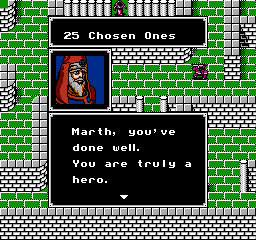 Join Prince Marth on his journey to liberate the continent of Akaneia. 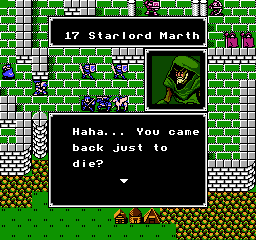 This was the last game in the series to not have a translation of at least 90% so I decided to translate the game as the games from the Fire Emblem series are my favourite games! 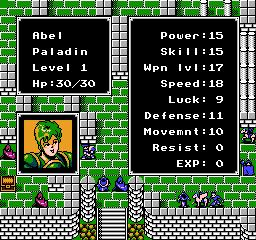 This game might look similar to you as Shadow Dragon is a remake of this game. But for the real fans out there this original game should still be a great addition to your game collection! To make it easier for those who already patched other people’s translations to the game, I borrowed the idea of Artemis251 to include patches to update from those translations. Please read the readme file for details.